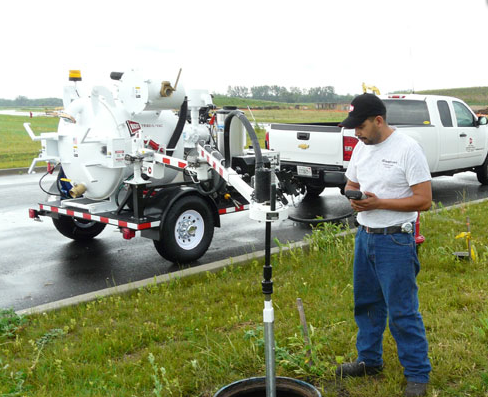 As part of their valve maintenance solution, E.H. Wachs manufactures trailer- and vehicle-mounted valve exercisers, which are controlled and monitored by the HC-100 handheld controller—a device you might recognize as similar to Juniper Systems’ Archer 2™ rugged handheld. 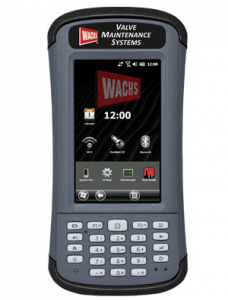 As part of our business partnership, Juniper Systems customizes the Archer 2 to create the specialized HC-100 handheld for E.H. Wachs. The HC-100 acts as a controller and a data collection device for their trailer and vehicle-mounted valve exercisers, which are manufactured along with a variety of pipe-cutting products by E.H. Wachs’ “Utility Products” division, and are sold to water and natural gas industries throughout the U.S. and Canada, and exported across the world as well. As part of E.H. Wachs’ valve exerciser solution, how has the HC-100 performed? The HC-100 has performed very well. Since shipping the first HC-100 product, not a single customer’s HC-100 has had to go back to Juniper Systems for any reason. The battery life is great, the screen is bright, the touch screen responsive. The one HC-100 tech-support call was regarding a non-responsive touch screen. A simple reset of the HC-100 solved the problem. How has this solution helped water & wastewater professionals? It provides our customers with a rugged product that will last for hours in the field. The customizable home screen provides our customers a consistent and simple launching point for our Vitals app. The built-in serial port means that customers with old equipment have a new controller/data logging option. The HC-100’s improved performance means it can handle datasets roughly 3 times larger than before. What have customers been saying about the HC-100? We have had numerous customers comment on the extended working period/battery life of the HC-100. In comparison to our past controller, which had a variety of battery issues, the HC-100 has greatly outperformed in the field. It was not uncommon to see only a four-hour battery life before needing a recharge on our past controllers. The HC-100 allows the end user charge-free use for multiple days. This has also led to a greater ease-of-use in the field when data logging and exercising valves without the fear of the controller turning off due to short battery life. In addition to the longer charge, the issue of new batteries showing up dead-on-arrival has completely disappeared due to the HC-100. To learn more about E.H. Wachs’ valve maintenance solution, visit their website here. To learn more about Juniper Systems’ products or partnership opportunities, contact us online or by phone at 435.753.1881.